This has a built in voltage regulator so it can operate from 8-30v and it will not damage the led. Also in cars and truck as interior lights. To install just remove the cover from your existing light fitting, unclip the existing bulb and push this on in its place. It provides as much light as a 10W filament bulb which uses 10 times as much power. 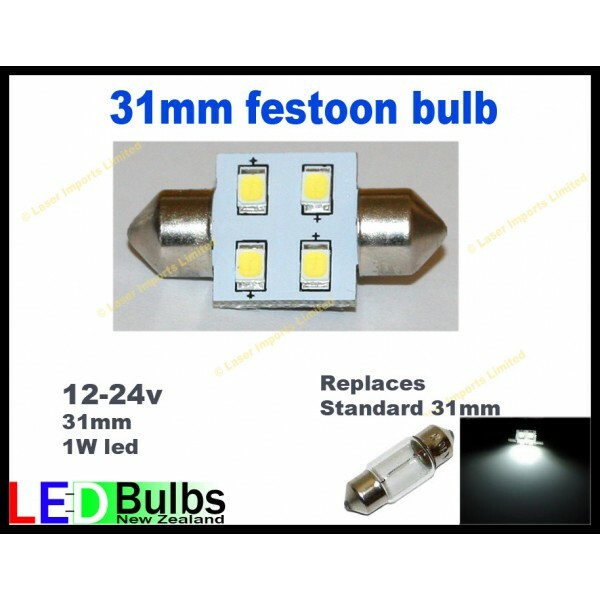 The LED bulb can be used in any lamp using a normal filament festoon bulb. Just remove the old bulb and fit this one in its place. LEDs are also cooler, more vibration resistant and extremely long-lasting.